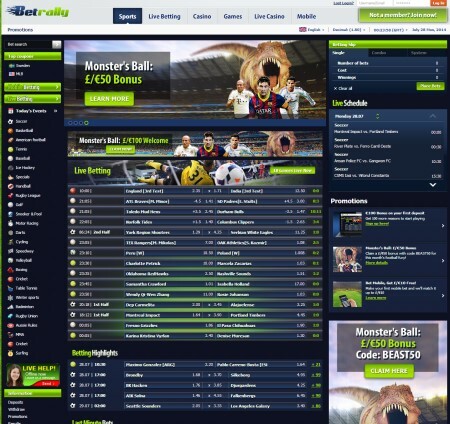 Betrally.com is a very well designed online betting website that offers over 12,000 unique betting events each week covering more than 200 bet types on over 30 sports from across the globe. You will generally find competitive odds on top events and a variety of special bets are regularly available. The betting process is extremely simple thanks to no-download, responsive and user-friendly software, search features and a separate live betting tab altogether. Betrally.com operates under a license (license number: 8048/JAZ) in Curacao.